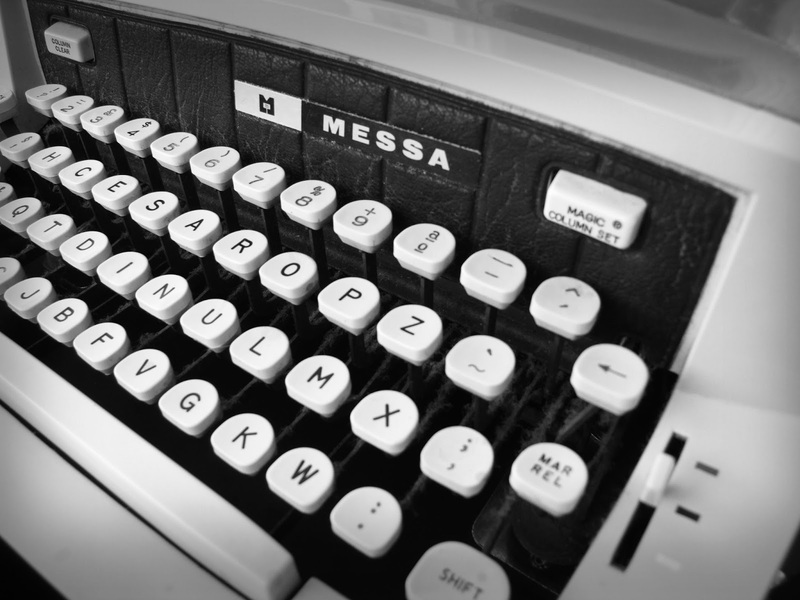 Thanks to those of you who have signed up for the October online writing class and/or helped to get the word out. Six writers have already enrolled. I'm looking forward to working with both prose and poetry this time around. 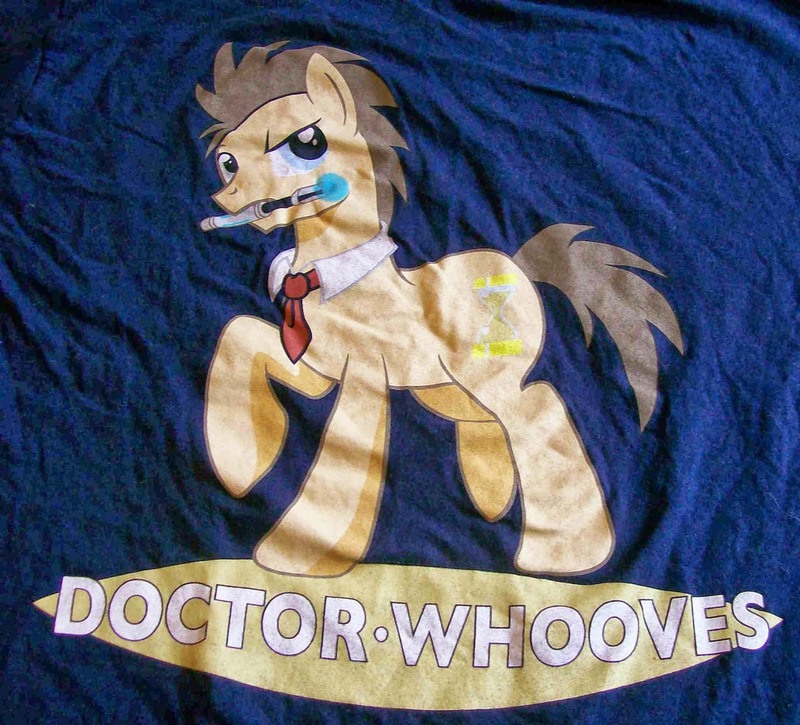 Meanwhile, did you know that over the summer, I started selling t-shirts, toys, and other odds and ends on eBay? I love buying t-shirts, and in a way this has been an excuse for me to buy a bunch of t-shirts without running out of space in my dresser drawers. 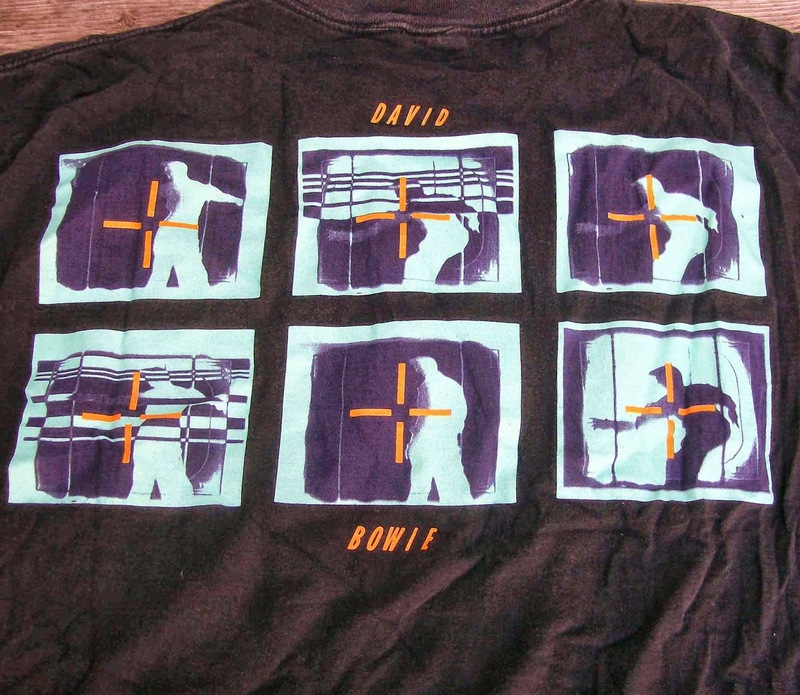 Here are a couple of cool shirts we've found recently. 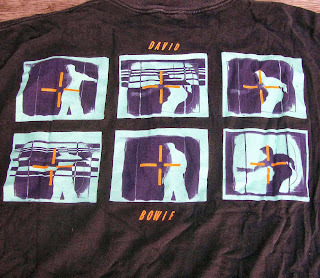 The shirt above is vintage from David Bowie's 1990 Sound + Vision tour. The shirt below is a mash-up of Dr. Who and My Little Pony. I wrote a series of poems a few years back when the Chehalis River in Washington state flooded and blocked Interstate 5 for days. In reading and watching news stories about the flooding in Colorado, I've thought a lot about the people there and the damage to the landscape and roadways. We drove to Boulder last year when I went to Colorado with Trish to visit her family, and it's amazing to see how Boulder Creek has become such a raging body of water. Tonight as I was thinking of this current flooding, I remembered the poems I wrote about the Chehalis. Here's one that borrows found text from a map of road closures. Broken levee. Debris in road. to trucks with perishable loads. I've just set up the signup page for the first "Short Forms" writing class, to run October 1-31. Like the other independently run online writing classes I've offered, this class costs just $50. Students will complete four writing assignments over the course of the month and receive constructive, encouraging feedback from me on all four pieces. 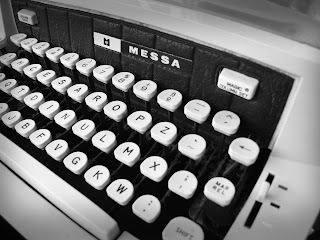 These classes have offered a lot of camaraderie and support among the writers taking the class, and I have found it a true pleasure to read the pieces as well as the comments people have shared. The assignments for the Short Forms class will allow for responses in the genre(s) of the students' choice. You can write nonfiction. You can write fiction. You can write poetry. You can write any or all of the above at any given moment! Thanks, as ever, for your interest and support--with special thanks to Erica Sternin for reminding me of her enthusiasm for this short forms class. Here we go! Out of nowhere (or so it seemed), I had two people I didn't know order copies of my zine, From Dinosaur to Denver, from my Etsy shop last week. 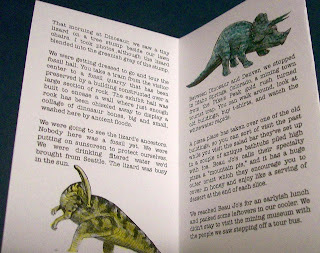 Dinosaur is a tiny 8-page zine about camping with Trish at Dinosaur National Monument on our road trip in the summer of 2012 from Seattle to Denver, where her parents live. One of the people who ordered the zine ordered five copies, which was extra-cool. This inspired me to set to work on a second Teeny Tiny Travels zine. This zine is called Seattle to Spokane to Steamboat and is about a quick trip we took in June of this year to Eastern Washington. I've finished writing and formatting the text, and now I need to print it out and do the layout for the zine. I like doing cut-and-paste layout by hand for my tiny zines. I cut out some interesting images from my piles of collage materials last night, so hopefully they'll work for the zine.